With so much in the way of vibrant, perpetual, educational content across so many years, The 2GuysTalking Podcast Network always has podcasts flying high – some higher than others with larger audience draws. Read on below to find out which of our podcasts is achieving great things this month! Be sure to check back often and remember – if you’re interested in joining a quality, educational, valued Podcast Network, contact 2GuyTalking today! Scams are one of thee most dangerous threats today, especially when it comes to our elders. As the number of victims and money taken continues to skyrocket, realize that there IS HOPE… Scammercast is your frontline battlefield for getting educated on the most-recent scams but also – how to defend against them. Join us as we detail the processes, the traps and the solutions to help us all — Hammer The Scammers! Its time for The Scammercast! Enjoy these episodes with your hosts: Curtis Baily and Art Maines! The Scammercast Podcast on iTunes: Subscribe Now! Everyone knows that Marvel has a money-collecting Juggernaut when it comes to movies, but did you know that Marvel also continues to create incredibly compelling televised content for the smaller HD screen? 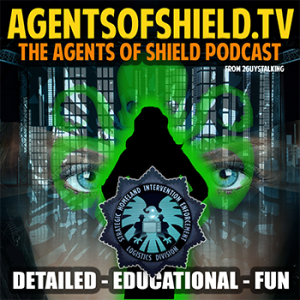 Don’t miss the Agents of SHIELD Podcast where host Nicholas J. Hearne and Mike Wilkerson educate you about the incredibly engaging content being compiled on ABC via The Agents of SHIELD! LISTEN LIVE! It’s the Most-Recent Episodes of The Agents of SHIELD Podcast! LISTEN LIVE! It’s the Most-Recent Episodes of The 24 Podcast! 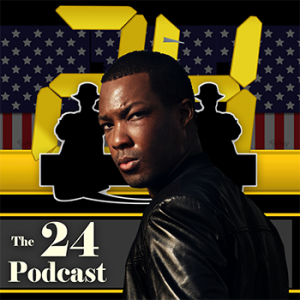 The 24: Legacy Podcast on iTunes: Subscribe Now! Hollywood continues to tell tales on the Silver and smaller HD screens. What do they get “right” and – what could they use a panel of experts on when it comes to process and law enforcement. 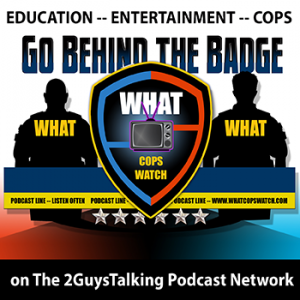 Go Behind the Badge with the hosts, guests and experts of WhatCopsWatch.Com to understand more about what you see in Hollywood as well as take you “Behind the Badge” to put a human face on Law Enforcement. The WhatCopsWatch.Com Podcast on iTunes: Subscribe Now! Are you looking for a simpler way to handle your money and build wealth? I have discovered that it doesn’t take a degree in Finance to be debt free and you don’t need to play the credit-score game to be credit-worthy. Since 2007, I have helped people understand how money really works. I teach people how to save, buy things without credit cards, and create rich habits instead of a credit score. Each episode will feature an in-depth discussion about a financial topic or service, we will learn about income taxes with an ex-IRS Agent, and we will learn from Tom Corley’s Rich Habits. 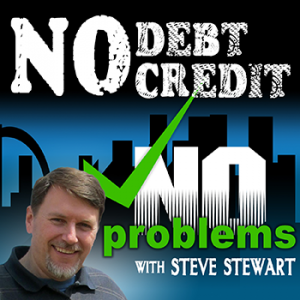 Listen to No Debt, No Credit, No Problems Now! No matter which way you lean, the fact is we have had and will continue to have American Presidents. Learn more about them all past, present and future with your host, Phil Treacy, as he takes you on a detailed and educational tour of each. Find out more of their Early Years, Young Adulthoods, Political and Professional Careers and the Legacies of the men who have been elected President. Find all this and more via The Presidential Bio Podcast on The 2GuysTalking Podcast Network. 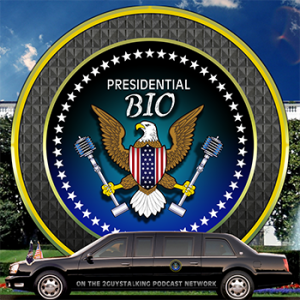 Listen to The Presidential Bio Podcast Now! Francis Krebs and Rev. Jessica Gazzola of the Ecumenical Catholic Communion, and their guests – writers, scientists, artists, real people with real compelling stories. Our faith is always evolving and “A Priest and a Bishop Walk into a Story” will touch your heart so you too will – walk away changed. 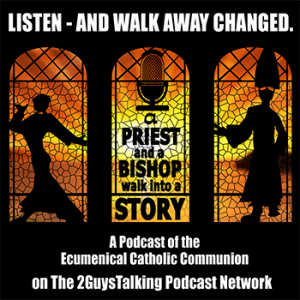 A Priest and a Bishop Walk Into a Story – Listen Now! Green Gab is all about keepin’ it Green! Green Homes, Green Living and Green Companies. Get in on the gab and learn why green matters – to you, your family and friends and how it directly impacts your community! Join Marla Esser and Tony Pratte as they talk with Green Experts from a variety of industries, companies and organizations to help you learn the true gift of Green Gab! 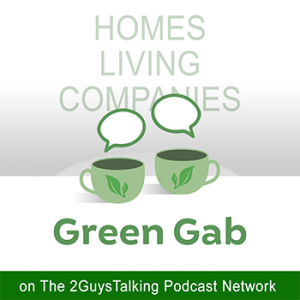 The Green Gab Podcast on iTunes: Subscribe Now! Your Favorite Movies – The Professional’s Perspectives: You love TV, DVDs, Blu-Rays, Streaming Service Originals and Feature Films. So do we. Perspective Reviews allow you to open the door to nostalgia, details and memories that make the collective media heart sing. How does Hollywood get it right? Where do they flounder? What kind of hype was there? Was the property a strong money maker over the years? Find out NOW with a growing listing of professionals as they gather to talk about the movies YOU love, with their skill sets, thoughts and perspectives leading the way. 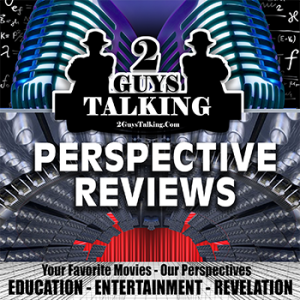 It’s time for Perspective Reviews from 2GuysTalking. Listen to The Perspective Review Series Podcasts Now! There’s a lot of content on The 2GuysTalking Podcast Network! Keep checking back to see how The Convocation changes, and be sure to connect with us to see how we can bring you, your skill sets, passions and perspectives to the podcasting industry! Take just a moment to contact The 2GuysTalking Podcast Network today to begin discovering how your initial inspiration can become a driving, monetized force that can take your already-developed skill sets and turn them into your true passion.